Tiruchirapalli is situated on the River Kaveri in Tamil Nadu, India. 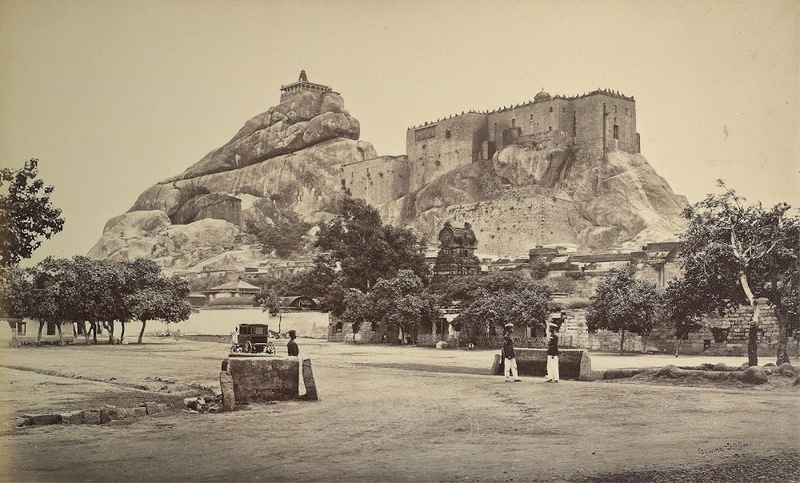 The town has been a stronghold of various ruling dynasties like Pallavas, Cholas, Nayakas and later occupied by the British. The town is dominated by the Rock Fort, a massive sand-coloured rock which towers to a height of over 80 metres. 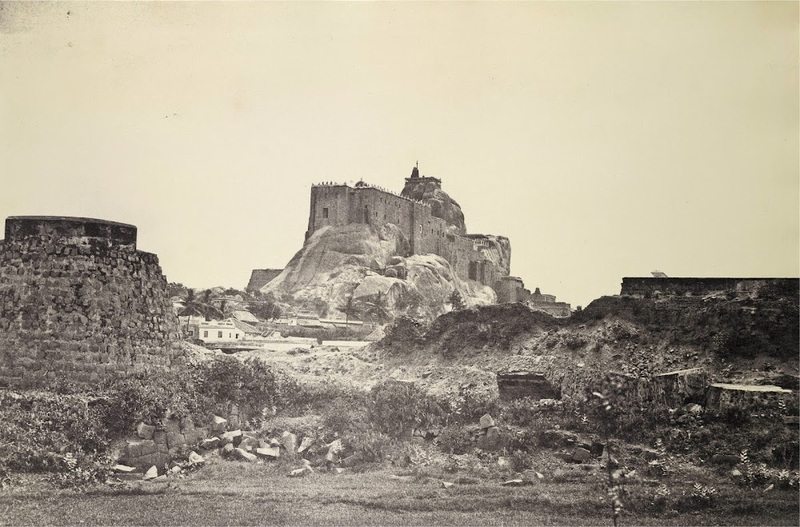 The Pallavas were the first to exploit the rock, building temples into its side, but it was the Nayakas of Madurai who realised the site's potential as a fort adding only a few walls and bastions as fortifications in the 17th century. 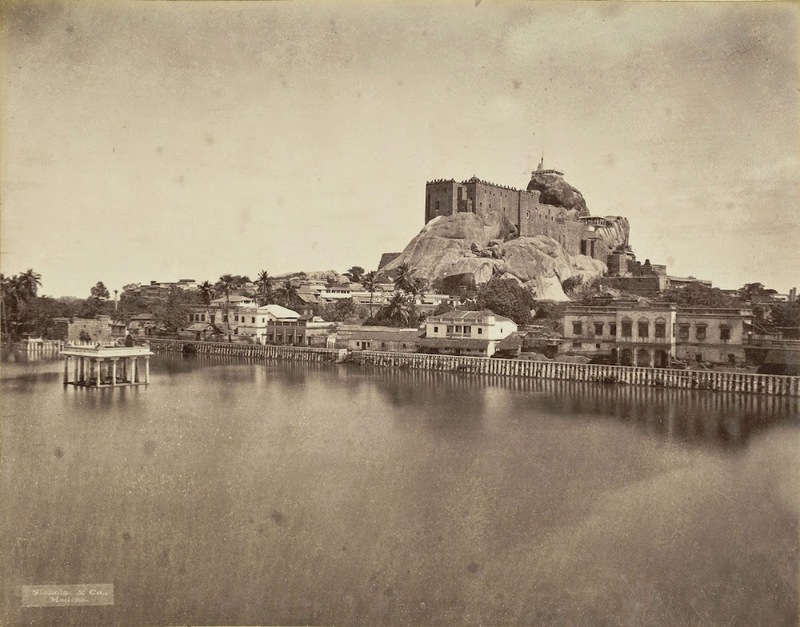 They firmly established Tiruchirapalli as an important trading city. The Rock is about 84 m high (273 feet) and its summit, crowned by a modern Ganesha temple (Ucchi Pillaiyar Koil), can be reached by means of 437 steep steps. 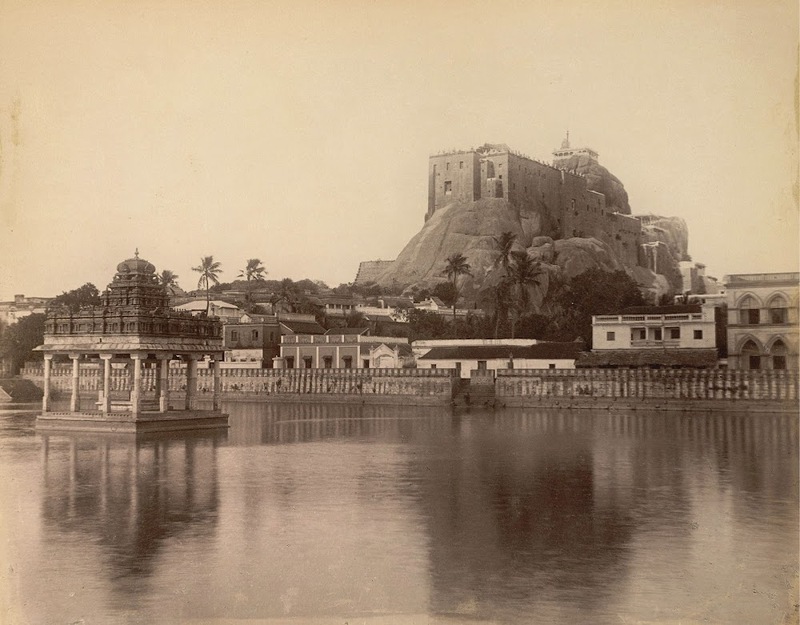 The Nayakas of Madurai realised its strategic position and built the Rock Fort in the 17th century. The last major battle here was fought during the Anglo-French wars of the Carnatic in the 18th century. 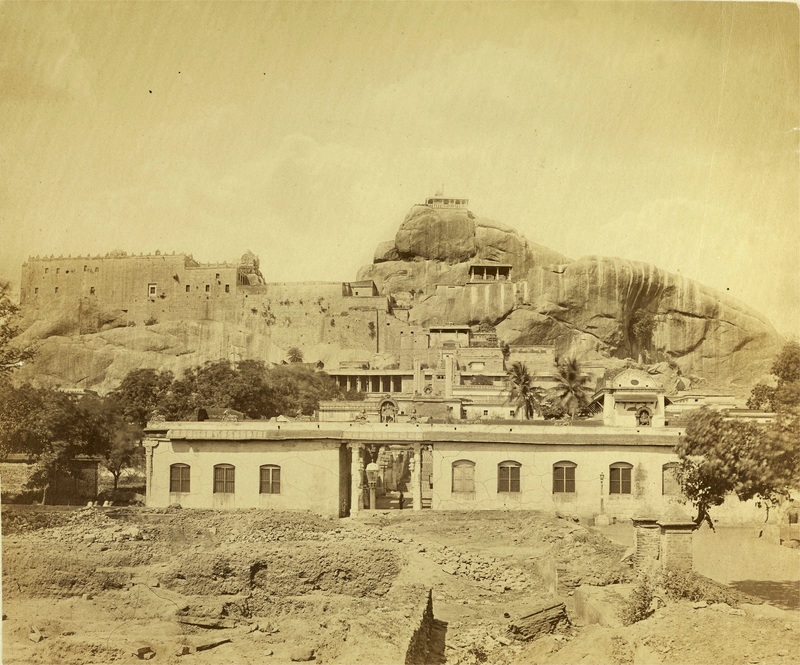 Carved into the southern face of the Rock are cave temples dating from the time of the Pallava king Mahendravarman I (reigned 570-630) and the Pandya period (8th century). At the west face is the 17th century Thayumanaswamy temple dedicated to Shiva, where the lingam is a natural rock projection. Know more about this historic place in Wikipedia.